TALLAHASSEE —Two Florida Senate committees advanced controversial proposals Tuesday that would make it easier for the 1.4 million Floridians with concealed-weapons permits — including more than 300,000 in South Florida — to carry guns openly in public and on college campuses and universities. The bills, supported by gun-rights advocates, relax Florida’s restrictions on where and how gun owners can carry their firearms. Both bills still have to be vetted by two other committees each before they could even reach the Senate floor for an up-or-down vote. Companion bills are also being considered in the House and face similar hurdles. Legislation allowing concealed guns on Florida’s colleges and university campuses passed the Senate Higher Education Committee by a 5-3 vote along party lines with the panel’s three Democrats opposed. Senate Bill 68 is sponsored by Sen. Greg Evers, R-Baker. 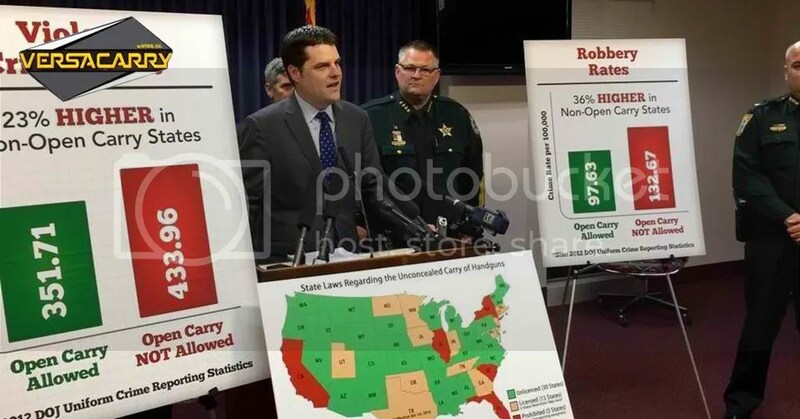 303,652of Florida’s 1.4 million concealed weapons permits — or about 21 percent — are held by individuals in Miami-Dade, Broward and Palm Beach counties.